Sealing the roof with waterproof underlayment products that provide the final line of defense between the home and the elements. This helps to prevent rot and mold growth. Using home roofing materials that are rugged enough to protect vulnerable areas of your roof, and ensuring that all elements of your roof are adhered strongly so they won’t blow off in strong winds. Ensuring that your attic is receiving proper ventilation. This can help lessen the buildup of heat in your attic – potentially reducing the strain on your home’s HVAC system – and also stop moisture buildup that can cause your roof to deteriorate prematurely. Daech & Bauer Roofing is also the home roofing contractor of choice for repairs related to severe weather. We can help you through the insurance claim process to ensure that all of the damage is adequately covered so we can use the high-quality products needed to return your roof to optimal condition. 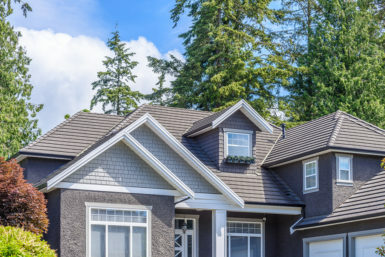 Contact Daech & Bauer Roofing today to learn more about the home roofing repair services we provide for homeowners in Glen Carbon and nearby IL communities.